MUFF WIGGLER :: View topic - power solution: old lab supply instead of PA-20/30 ? 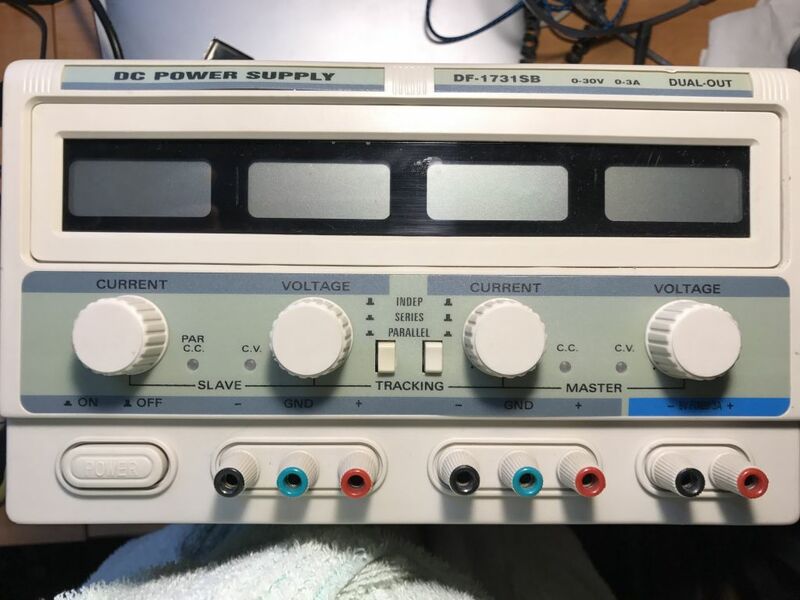 power solution: old lab supply instead of PA-20/30 ? The whole system will live in a shelf, so this is not a movable solution, just for context. I would like to use this to feed the Oakley PSUs instead of PA-20/30s. Of course I could power the whole system just from this one, but I think it would be safer to distribute power into two independently switchable branches; moreover I think the Oakley PSUs are more refined power sources. The Oakley PSUs will not care, if they are fed AC or DC. Any thoughts about this plan? What would be a proper voltage to feed into the Oakley PSUs? 18V? Using a bench supply is certainly one way to do it - but it's possibly a little complicated and bulky. One thing to note is that using DC to supply the Oakley PSU will create a large power-on surge current. You may wish to reduce the smoothing capacitors to something like 100uF. I think you'll need about +/-20V to guarantee a stable +/-15V output under all loads. You'll need 3V to keep the LM723 happy, 0.6V across the current limiting resistor and around 1V across the rectifier diodes. The Hinton bus bars, or something similar, are a great idea for any large system. The resistance of the power distribution lines should be as low as possible. Graham also makes some very nice power supply systems too. Thanks for remarks and hints! I wouldn't have thought about reducing capacity - thanks! I guess I will build and see what works.